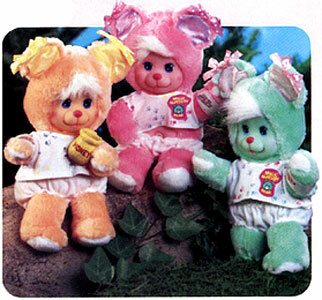 "Squeeze their tummies! 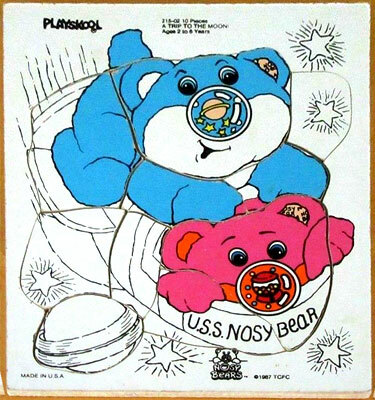 Watch their funny noses!" 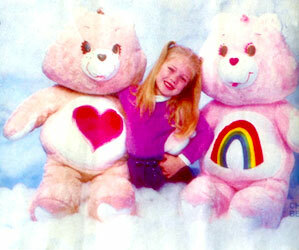 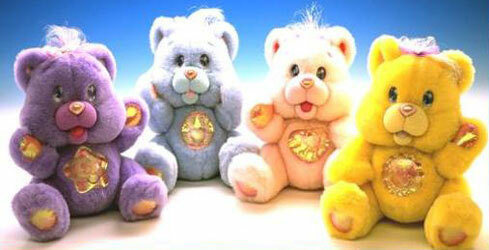 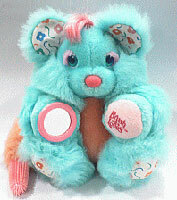 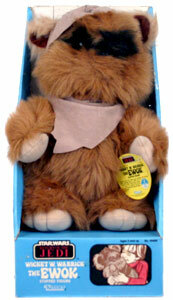 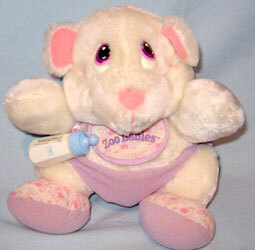 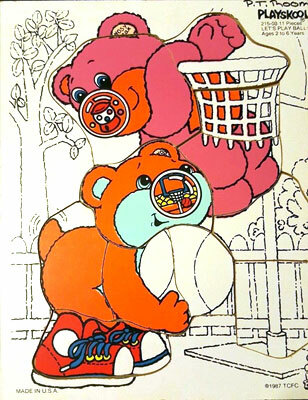 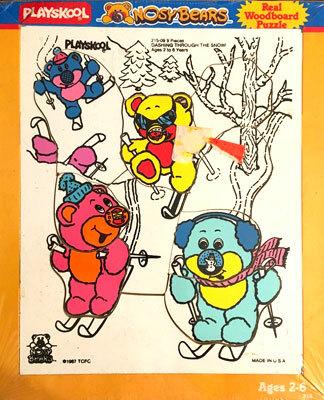 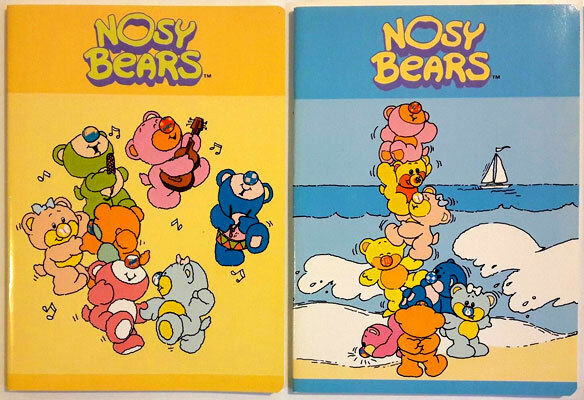 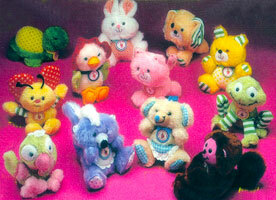 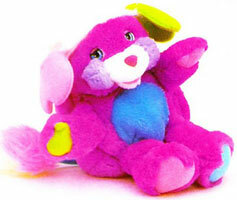 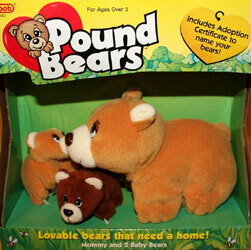 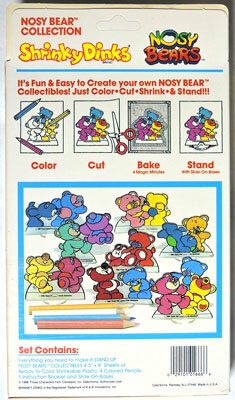 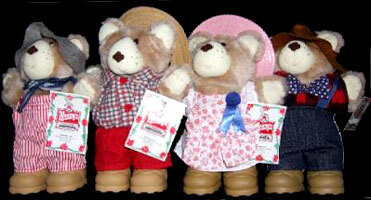 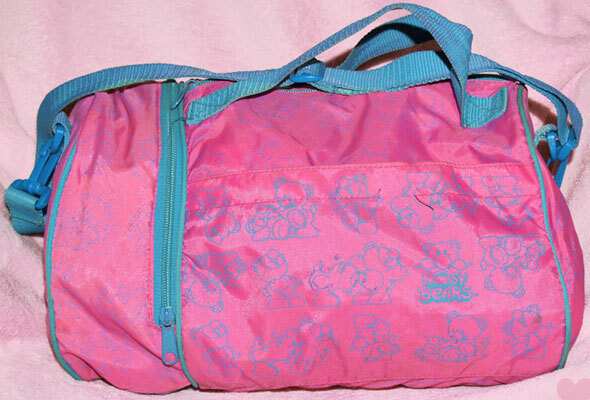 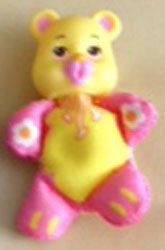 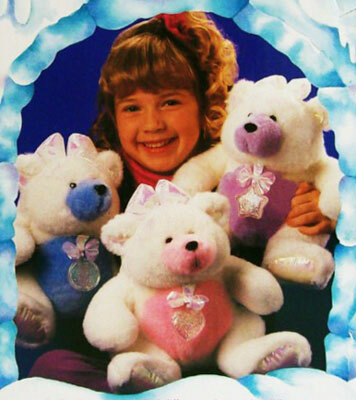 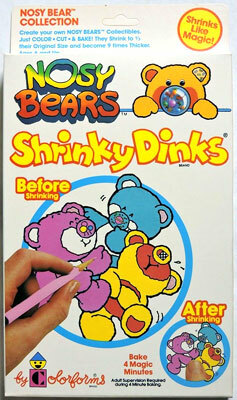 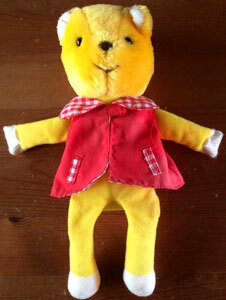 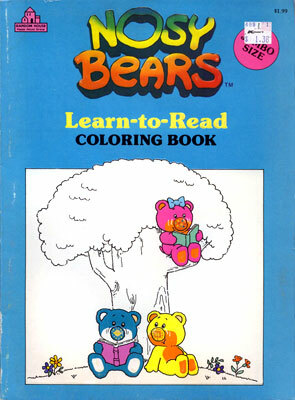 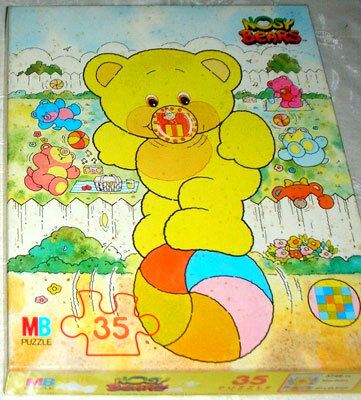 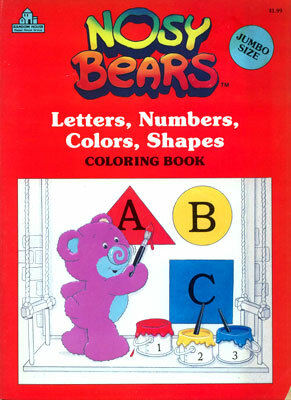 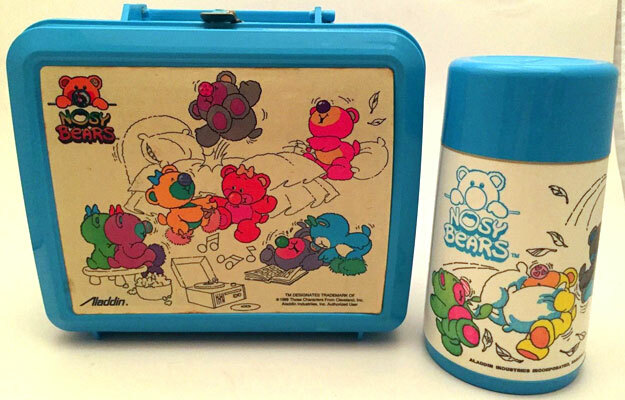 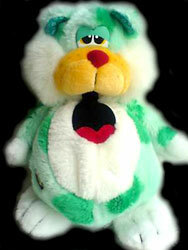 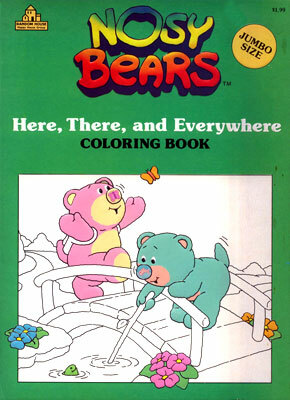 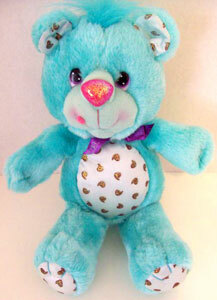 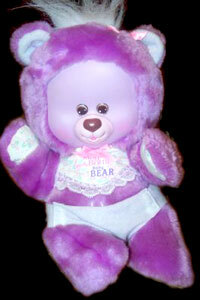 Nosy Bears were produced by Playskool/Those Characters from Cleveland/Hasbro from 1987 to the early 1990's. 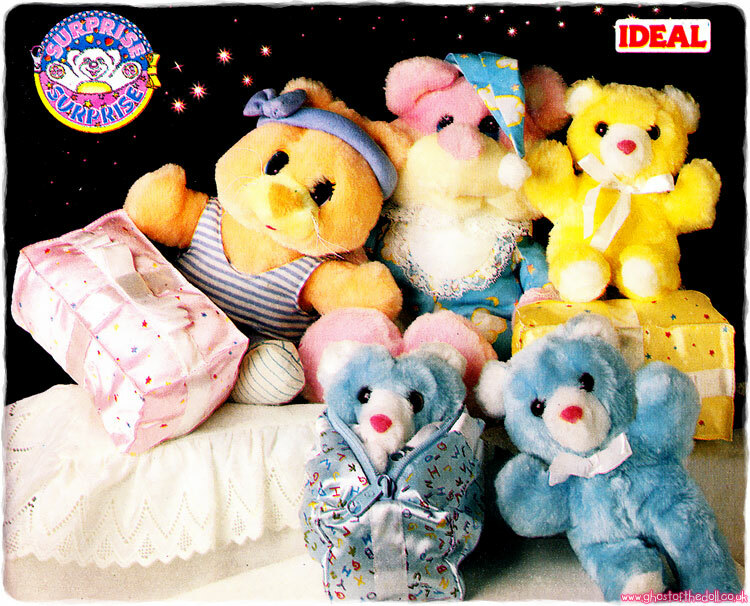 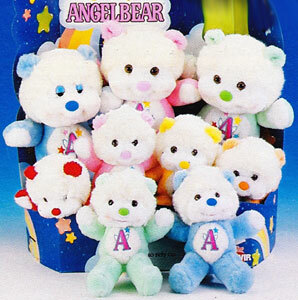 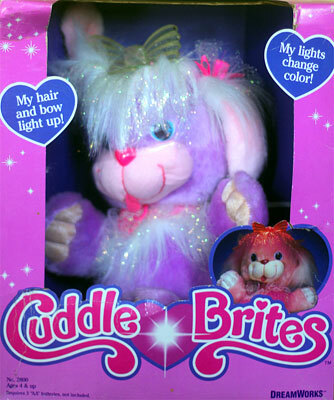 They were plush teddies (plus a few bunnies) with plastic globes on their noses. 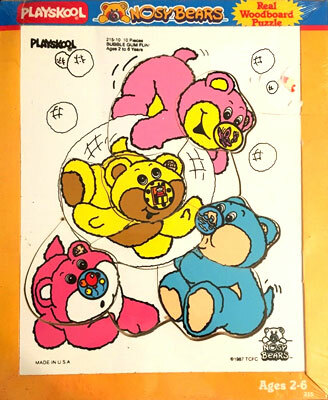 When their bellies were squeezed various items in their noses would move about from the air pumped in. 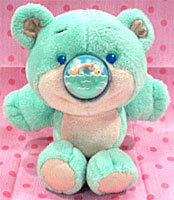 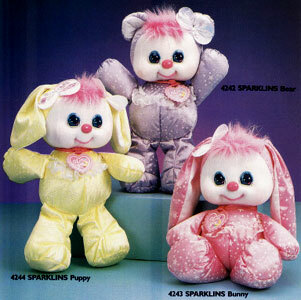 The smaller Shaker Nosy Bears and Nosy Bunnies had snowglobe type noses which were filled with a liquid. 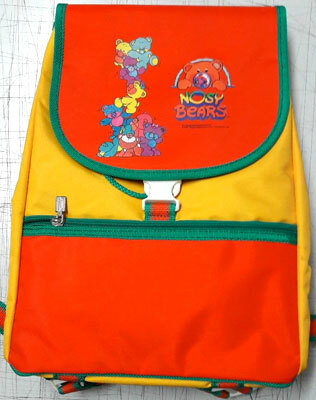 There were also a few accessories made to go along side the series. 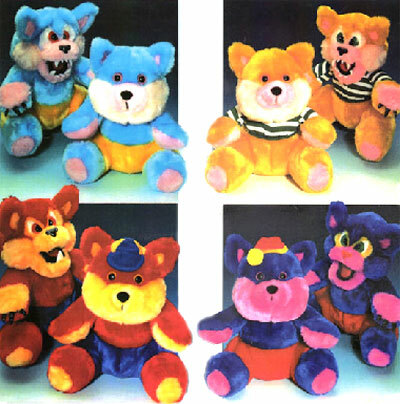 Images on this page thanks to Judith and eBay sellers mchiggins_place , kibirobo , abbydove0305 , bloonies , henk-melis , curioustoybox , digauctions , piccarda77 , candy73it , amandat2400 , junkinmytrunk12 & jamlile-0 ! 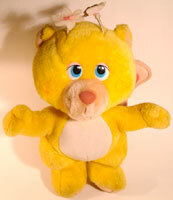 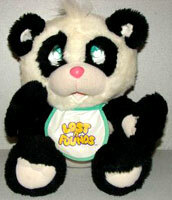 View all Nosy Bears on eBay.com or eBay.co.uk ! 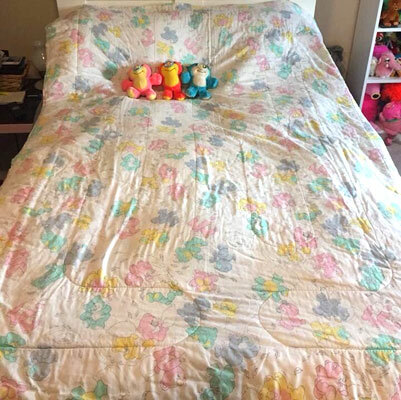 These are the accessories I have found so far. 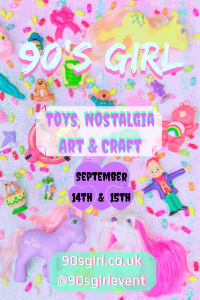 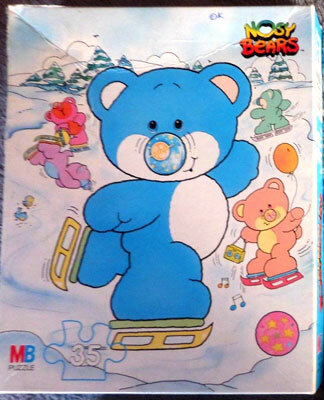 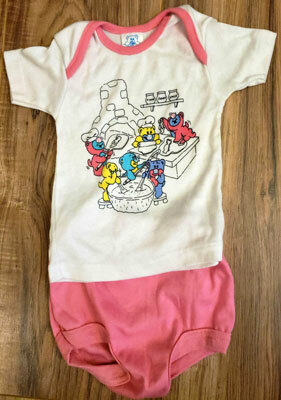 Trademarkia also has mention of of greeting cards and wrapping paper being registered for Nosy Bears, Nosy Kittens and Nosy Puppies, but I've not come across any evidence of their production as yet.